J.J. Abrams’ approach to the marketing of The Force Awakens was simply the latest evolution of his “mystery box” style of teasing—as minimal and overtly mysterious as possible, with scant information eked out in dribs and drabs. 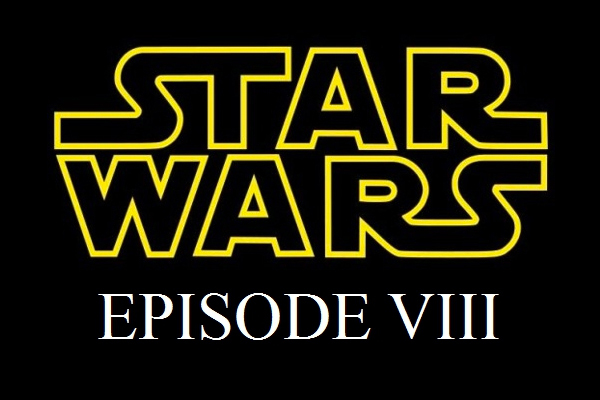 If it annoyed you, I have good news: Episode VIII will be a bit more open. …You can see, even with the way Mark and Carrie posted pictures with their chairs, it’s a little bit freer. This is perhaps no surprise, considering that already we know the film is shooting under the production name of “Space Bear” thanks to tweets from Carrie Fisher and Mark Hamill from the set. Or because we’ve already seen footage from the movie, amazingly, as part of a teaser video that announced production, released with no particular fanfare. Compare that to The Force Awakens’ laser-focused marketing campaign and the absurd lengths the cast and crew went to to avoid putting whatever they could out there (the first we officially saw of The Force Awakens came hidden out of context in the background of charity videos, or cryptic tweets about the Apple watch). Everything was a mystery, wrapped inside another mystery, and then packed inside a padlock-sealed mystery box and liberally sprinkled with a bit more mystery for good measure. Following the same plan for Episode VIII would’ve been a little weird, as we already know so much: the characters, the enemies, the stakes. what this new era of Star Wars feels like. We’re not excited about the 15th picture of bearded Luke Skywalker standing around on Skellig Island (or at least we shouldn’t be). And that’s exactly why it’s nice to hear that we’ll be seeing a lot more of Episode VIII along the way than we did with The Force Awakens. We’re going to need a lot more than Abrams’ tiny teasers to keep us at a fever pitch of excitement between now and December 2017. It’s good to know that Rian Johnson has us covered.